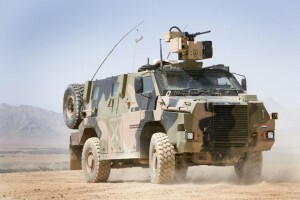 Thales Australia has announced that The Netherlands’ Ministry of Defence has ordered a dozen Bushmaster armoured vehicles for delivery next year. The Bushmaster is a highly mobile, ballistics, mine and improvised explosive device (IED) blast resistant Protected Mobility Vehicle. The Netherlands first ordered 25 Bushmasters in 2006 as an urgent operational requirement (UOR) for use by the Royal Netherlands Army in Afghanistan and has made other almost annual orders, either to expand the fleet or to replace lost vehicles. The latest order brings the total number of vehicles procured by the Netherlands to 98. The Bushmasters will be in the troop carrier variant and fitted with additional composite armour, Remote Weapon Stations, and Thales’ SOTAS intercom system. “The Bushmaster has proven itself on operations with the Dutch military in Afghanistan, and is a vital component of their Light Brigade. This export order shows their continuing confidence in the Bushmaster, its ability to protect troops in theatre and save lives,” said Thales Australia CEO Chris Jenkins. Thales is a strategic industrial partner of the Australian Defence Force (ADF) and major defence operations around the world that supplies and sustains a range of products for the ADF including: munitions, weapons, optronics, protected vehicles, mission packages, and command, control, communications and computer (C4) systems. The Bushmaster production facility in Bendigo employs more than 300 people directly and supports hundreds more Australian jobs indirectly through a supply chain that extends from Bendigo through Victoria to NSW and Queensland. The Bushmaster itself contains 65% Australian content, generating long term revenues for a wide range of local component manufacturers. Thales Australia employs around 3,200 people in over 35 sites across the country. The company recorded revenues of AUD 1 billion in 2014.